Mothers Necklace - Design Yours in 3 Easy Steps! Order by May 9th for Mother's Day delivery! Enjoy extended returns and FREE re-sizing. Order by May 9th for Mother's Day delivery! Featuring an extra-strong magnet, this clasp is perfect for those who may have difficulty with standard, spring-loaded clasps. The perfect accessory for your fine jewelry. Featuring fine microfiber and a non-toxic polishing agent, which removes dirt and tarnish. 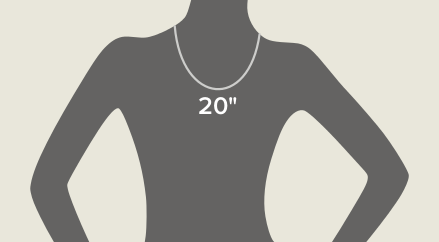 Necklace length is 20 inches. This Mothers Necklace is an elegant reminder of the priceless treasures in a woman's life. Birthstone months are represented using Genuine Swarovski Pearls. Choose your colors to design a completely custom keepsake. Our consultants are standing by to provide assistance! This necklace features only the finest materials, including elegant Swarovski pearls, Czech crystal rondelles, genuine silver components and a cable or figaro-style chain. Finished with a convenient and durable magnetic or lobster style clasp. If a component of your necklace ever breaks, we will repair or replace it free of charge. You may return your unworn necklace within 30 days of purchase for a full refund. Can I add more birthstones in the future? Yes. We can add birthstones to your necklace at any time for a cost of just $4/each. This is a great service for those with growing families (children or grandchildren). I need more than 12 birthstones. What are my options? If you need more than 12 birthstones on your necklace, please call us at 801-901-3958 for assistance. This necklace can accommodate up to 20 birthstones, as a special order. Do you offer gift wrapping options? All of our necklaces are packaged in a high-quality jewelry box and include a card explaining the significance of the birthstones. During Checkout, you may also add a gift message to the order. There is no charge for either of these services. Is this necklace made with genuine silver? Yes. All of the components used in this necklace are genuine silver. Generally no. With proper care, this necklace will continue to look good for many years. On rare occasion, we receive a complaint about tarnish. But it is usually due to improper care (e.g. showering with the necklace on). Rest assured, we stand behind the quality of our product. If your necklace tarnishes, we will replace your silver components at no charge. Where are these necklaces made? Each necklace is handcrafted in the USA. We think you'll absolutely LOVE this Mother's Necklace. But don't take our word for it. Meet a few of our happy customers! This necklace makes a beautiful set. With my matching bracelet I wear it with pride and a smile. I am looking forward to adding more pearls as my family grows-lucky me! Beautiful, meaningful and always garners compliments. This is my favorite "family necklace". These pearls represent my wonderful family and this necklace has become my favorite. It is so lovely and its significance makes me smile with pride. The best Mother's day gift ever! My wife loves the necklace I ordered from Pearls by Laurel. I included pearls for her birth month, our daughters and their kids. It really has become one of her favorite pieces of jewelry. My mother in law loves her Mother’s necklace. We had pearls added for her children, grandchildren, and great grandchildren. It’s quite beautiful! Love the additions to my bracelet and necklace. Boxed beautifully and they look like new. Thanks for the speedy delivery and the great products. I ordered a necklace and a bracelet for my wife as a Christmas gift. There are 5 adult children in our family so I placed each pearl in birth order. She normally does not wear jewelry. I think now she has something well worth wearing. She loved them both and put them on immediately. Thanks for letting me make her Christmas Wonderful. My wife is thrilled with the necklace I bought her for Christmas. She loves the pearls, the length and the clasp. It really does look nice on her, thanks a bunch. I ordered the necklace for my Mom to go with the bracelet I gave her a few years ago. It's beautiful and a good quality product. I purchased the necklace for my mom. I opened the box and was very happy with the quality of the necklace. Shipping was fast also. Will definitely purchase again!!! Only USPS Express and FedEx are guaranteed services. Delivery times for other services are estimates and may be subject to unforeseen delays, such as bad weather. FedEx, USPS Express, and USPS Priority orders received by 12pm MST will qualify for same-day processing. Our Mothers Necklace is 20" (aka princess length). This classic and versatile length is appropriate for both casual and formal wear. And it compliments almost any neckline. By special request, we can construct your necklace to a custom size. You may contact us at 801-901-3958 or indicate your size preference in the Comments section of Checkout. Simple, timeless, and versatile. This style is casual enough to be worn with jeans, yet stylish enough for an night on the town. Links measure 2mm. The perfect blend of luxury and style. This chain's unique shape and symmetry that will add sophistication to any outfit or look. Links measure 4mm. Simple, timeless, and versatile. Casual enough to be worn with jeans. The perfect blend of luxury and style. Will add sophistication to any outfit. 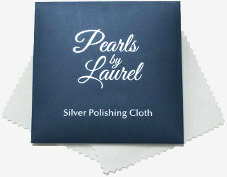 This premium silver polishing cloth is the perfect accessory for your fine jewelry. Featuring fine microfiber and a non-toxic polishing agent, which removes dirt and tarnish. Dimensions are 3" x 6".